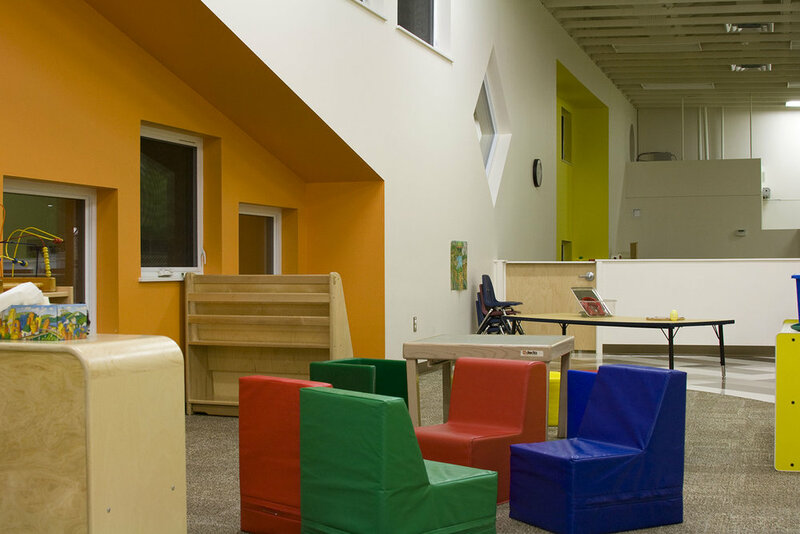 UWSA Daycare | prairie architects inc.
2009 Building: S/ Wolfrom Eng. Ltd.
2017 Addition: S/ Wolfrom Eng. Ltd. 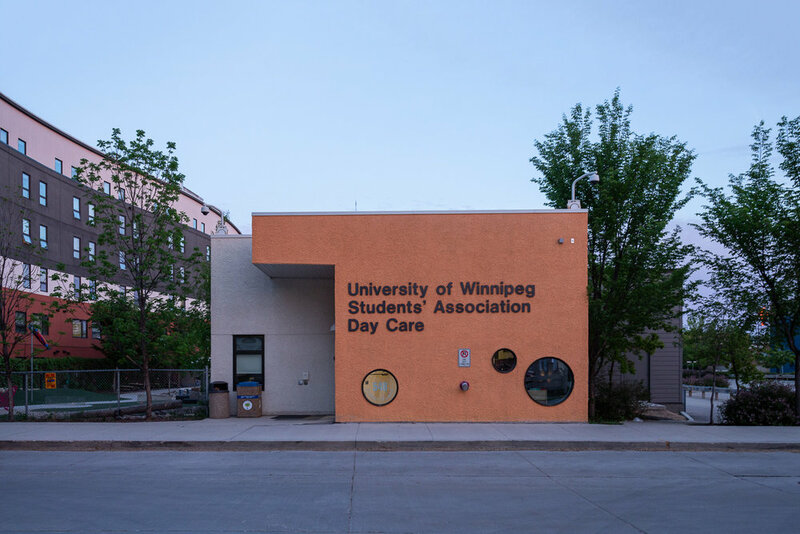 In 2009, construction was completed on the original 10,010 sf University of Winnipeg Students’ Association Day Care facility, which accommodated 112 liscensed spaces for infants, toddlers and pre-school aged children. Then in 2015, due to increased need, Prairie Architects Inc. was hired by the University to design a 2,336 sf addition to the existing facility for an additional 32 liscensed spaces. Working within the existing site parameters and bounded by McFeetors Hall to the east (student residence and community housing Prairie Architects Inc. completed in 2009); the Richardson College for the Environment to the south; and a parking lot to the west, the original building was designed as a linear series of light-filled pavilions along a single-loaded corridor. 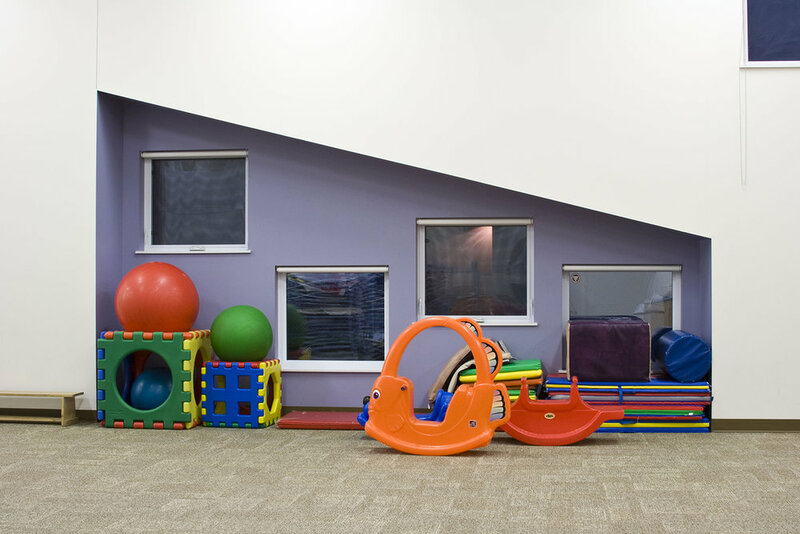 Each child care space has a large bay window opening onto the large protected play yard to the east. The addition is comprised of three child care rooms to the west of the existing corridor, near the front entry at the north end of the building. The exterior play space is accessible at two central cubbie areas which open into a flowing interior galleria. A covered entrance welcomes children into an inviting lobby with a parents lounge and open kitchen visible as one enters the space. The original building is LEED Silver certified with many energy and water saving features, high quality fresh air, durable and natural materials and high levels of natural light. 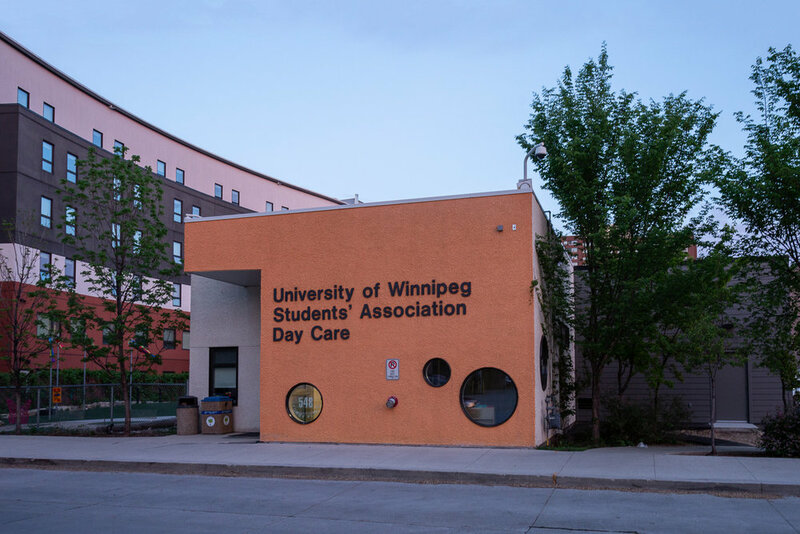 Read about the daycare in CBC: U of W west campus opens doors!